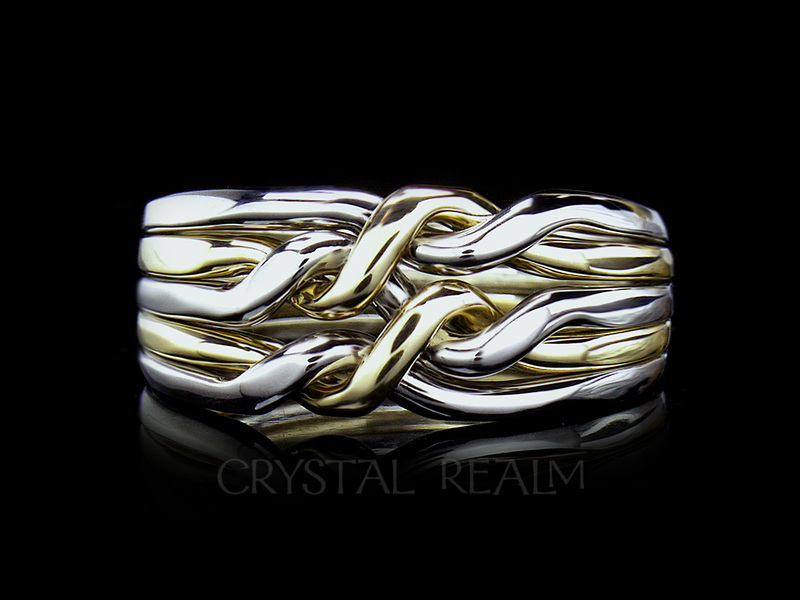 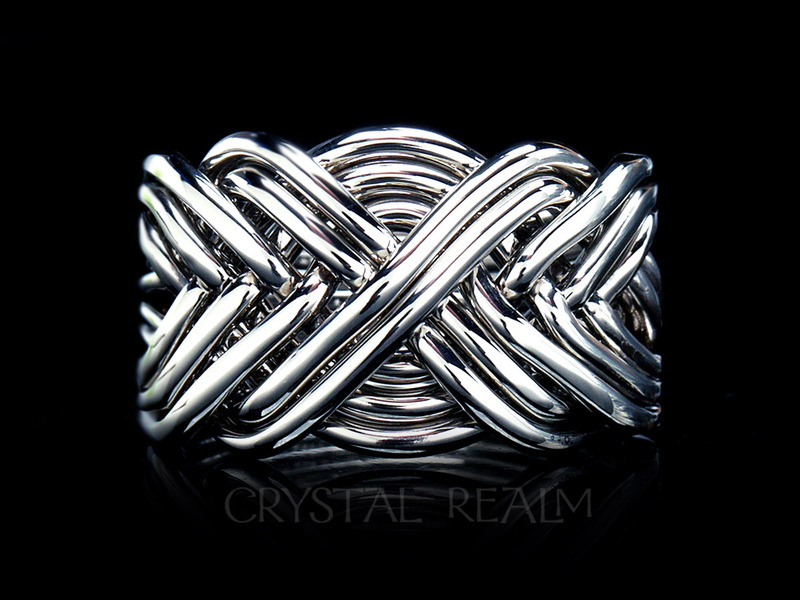 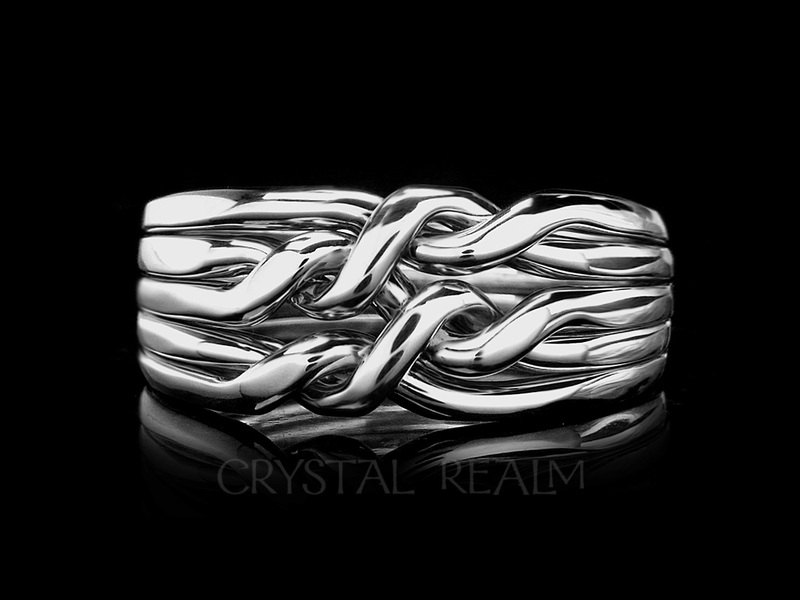 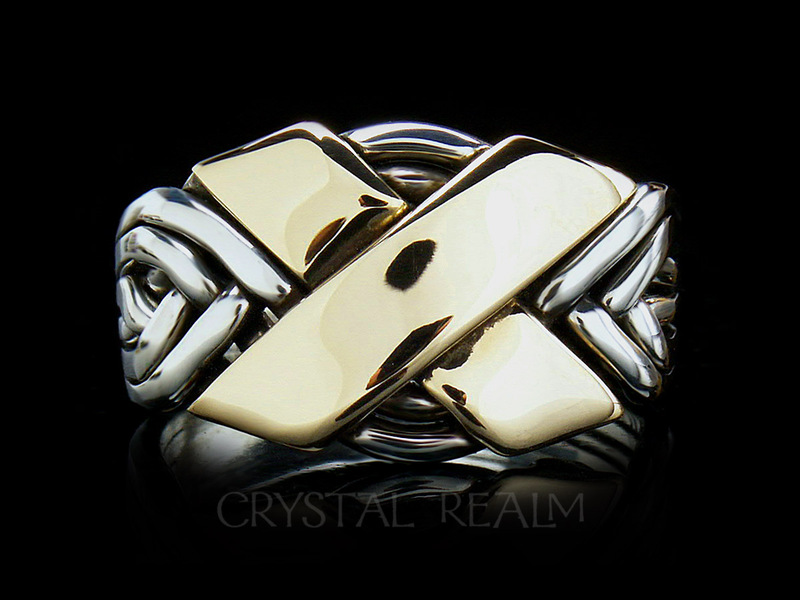 The original hand-woven four-band puzzle ring is shown here in a tight weave in a medium-heavy weight. 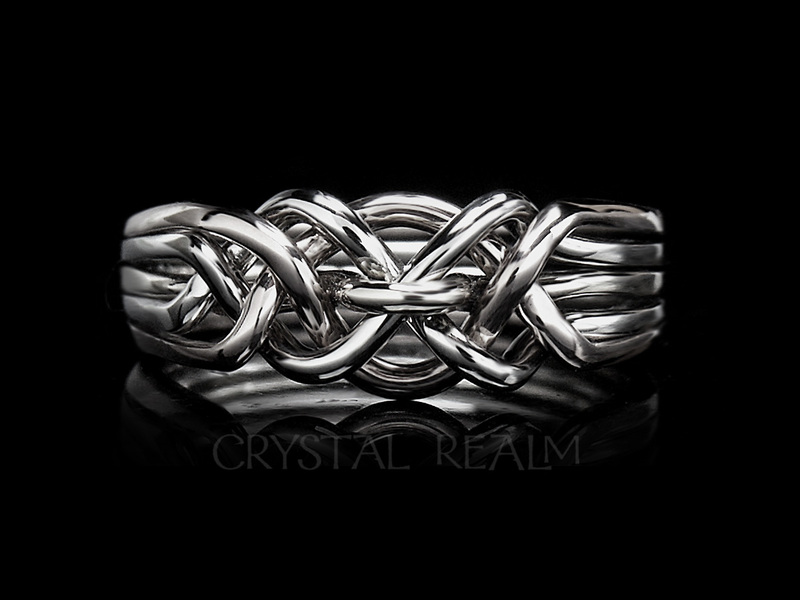 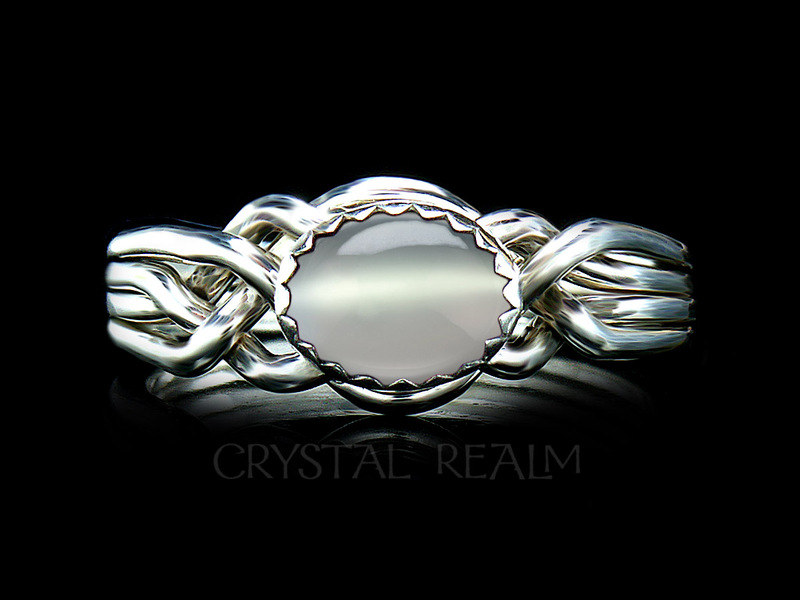 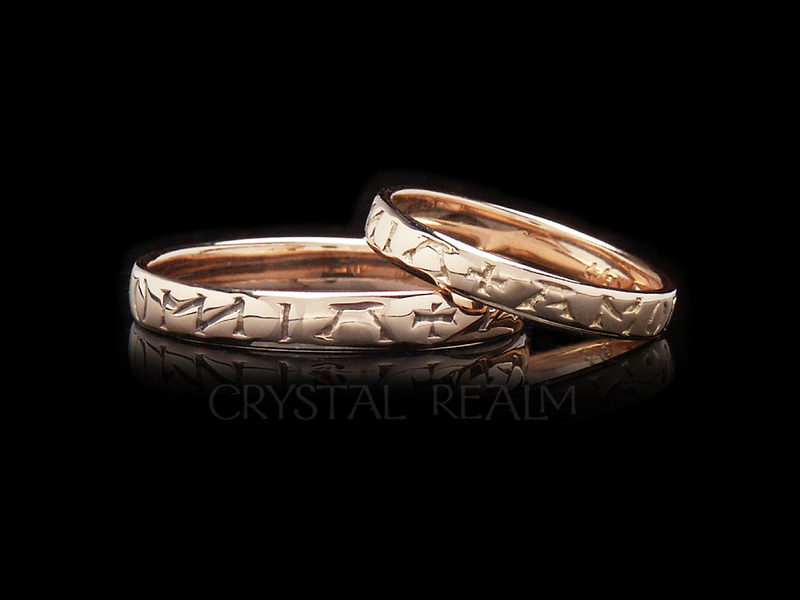 Sophisticated and classical in style, this ring is inspired by Celtic knotwork, and it really comes apart and goes back together. 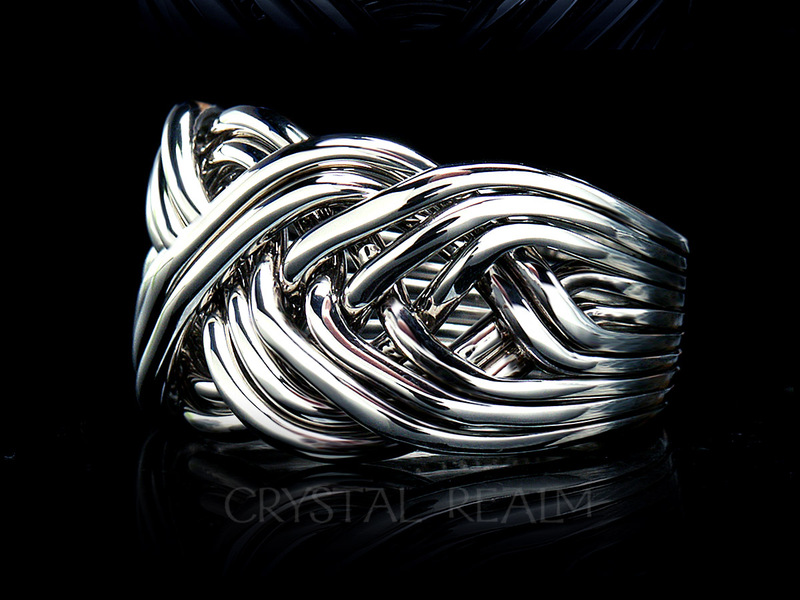 You’ll have fun learning to assemble it and mystifying your friends and family with your skill. 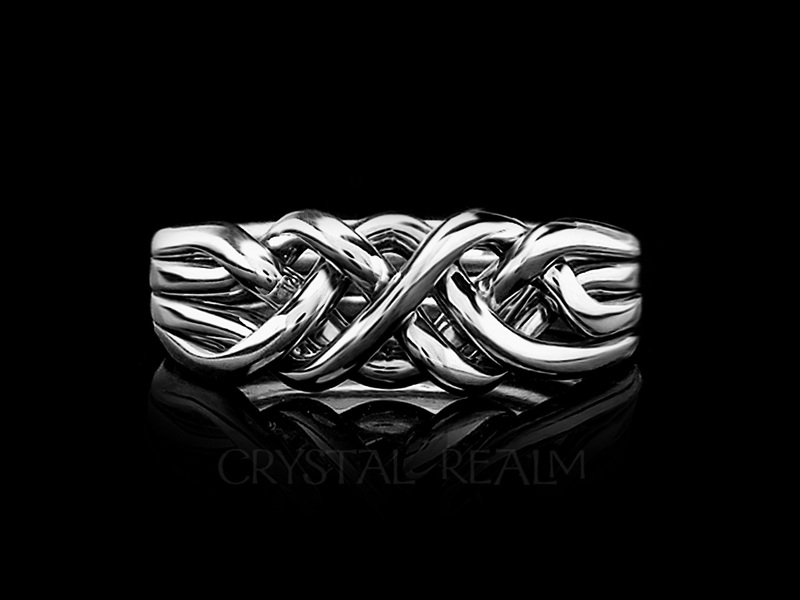 Sterling silver with a width at top center of about 7mm. 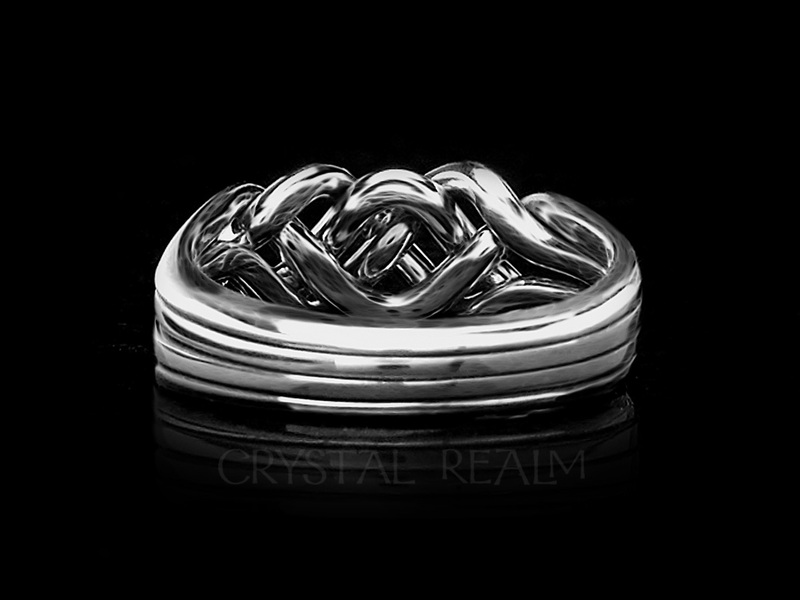 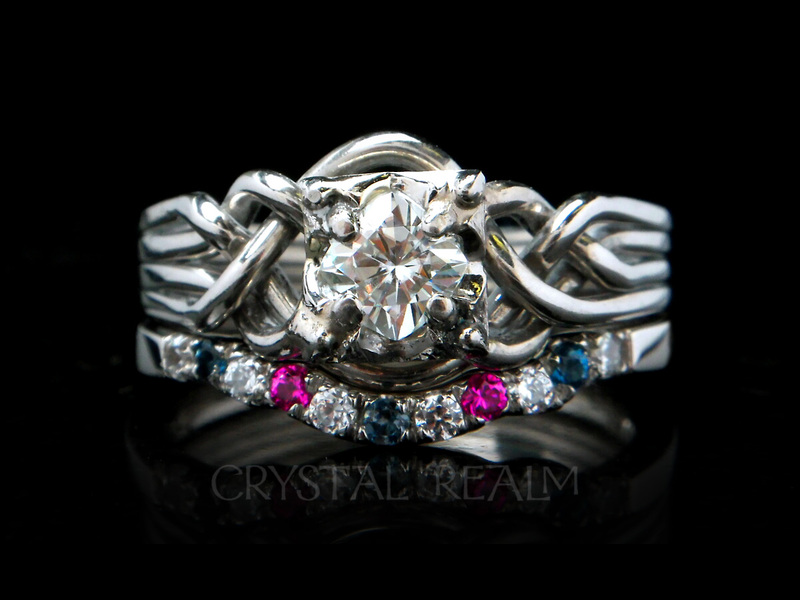 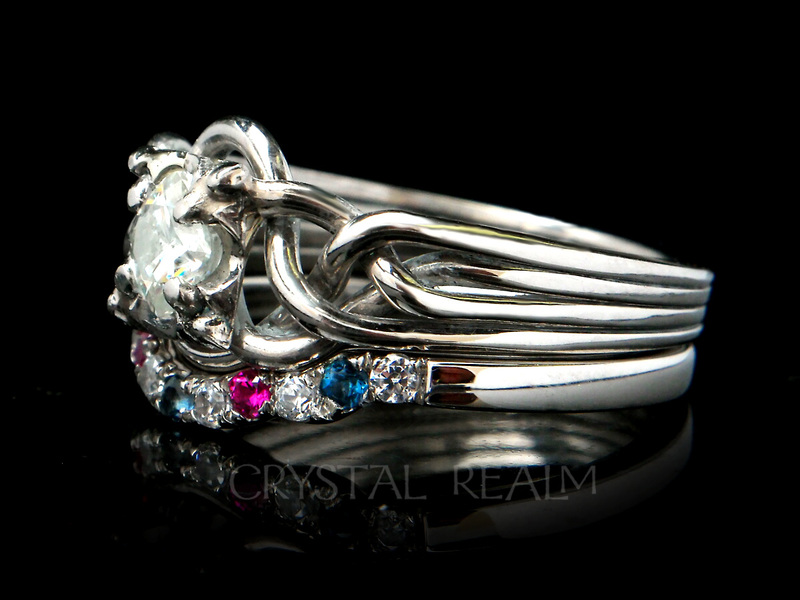 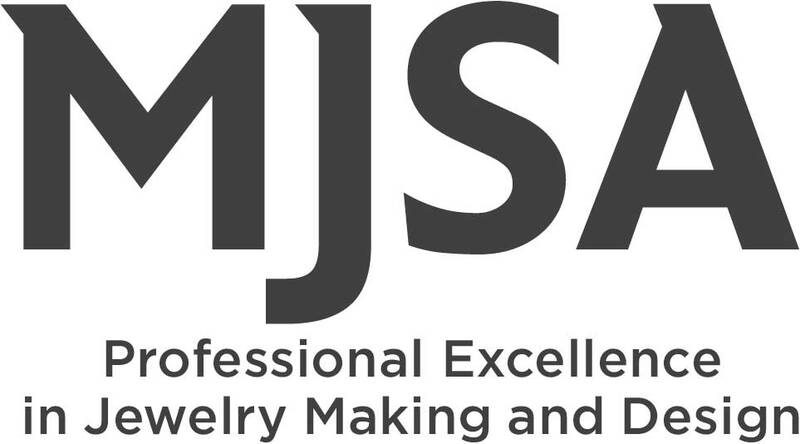 Choose this medium-heavy weight ring in whole, half, and quarter sizes from 4 – 10.5.